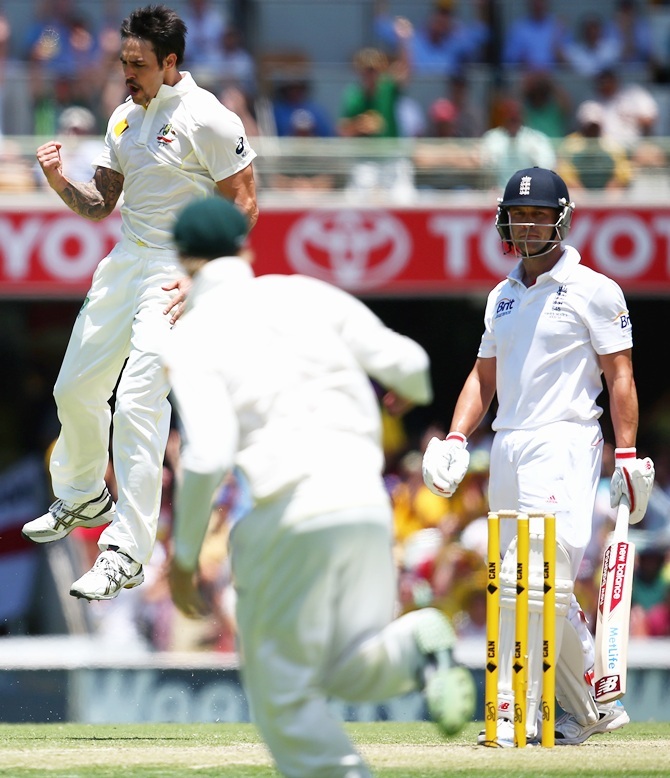 IMAGE: Mitchell Johnson of Australia celebrates after taking the wicket of Jonathan Trott of England. Photograph: Ryan Pierse/Getty Images. Former England batsman Jonathan Trott has called Mitchell Johnson as his 'executioner' during England's ill-fated 2013 tour to Australia. Trott, who pulled out of the series after the first Test due to stress-related issues, described the Australians "like hyenas round a dying zebra" as a frighteningly fast Mitchell Johnson terrorised him. Trott expressed his thoughts in his recently released autobiography. "I felt I was being led out to face the firing squad by the time we reached Brisbane," Trott wrote. "I was a condemned man. Helpless, blindfolded and handcuffed. Mitchell Johnson was to be my executioner." "And they know I'm struggling. They're circled like hyenas round a dying zebra," he wrote. Johnson was easily the series' leading wicket-taker with 37 at an average of a touch under 14 as Australia whitewashed the series 5-0 to reclaim the Ashes urn. 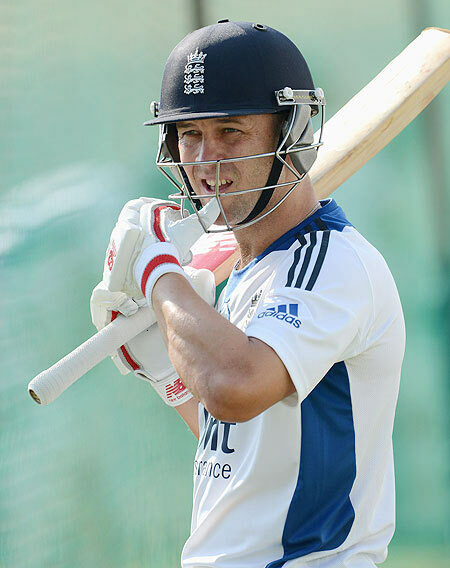 IMAGE: Former England batsman Jonathan Trott. Photograph: Gareth Copley/Getty Images. Trott said the left-arm quick's spells left him questioning himself. "I felt I was being questioned as a man. I felt my dignity was being stripped away with every short ball I ducked or parried. It was degrading. It was agony," he wrote about their battle in the 2013 ODI series in England, Trott's last in national colours. Trott, who made a brief return to Test cricket in 2015 before retiring, said there were no ill-feelings towards Johnson. "One day, I'd like to shake him by the hand and say, 'Well bowled,'" he added. "I don't bear him an ounce of resentment. Test cricket is meant to be hard and he was admirably ruthless." Did Rohit Sharma throw away a golden opportunity?